Join us for dinner, awards ceremony and an engaging evening learning about the life of Muslim allies and what action Muslims can take to effect real, meaningful change. We will hear from Edward Curtis, Millennium Chair of the Liberal Arts and Professor of Religious Studies at IUPUI, Hassan Sheikh, Michigan Director of Emgage, and Richard McKinney, former Marine, retired soldier turned Muslim and former President of the Islamic Center of Muncie. Invited guests include: Governor Eric Holcomb, Lt. Governor Suzanne Crouch, Sen. Joe Donnelly, Sen. Todd Young, Mayor Joe Hogsett, and other State representatives and leaders. 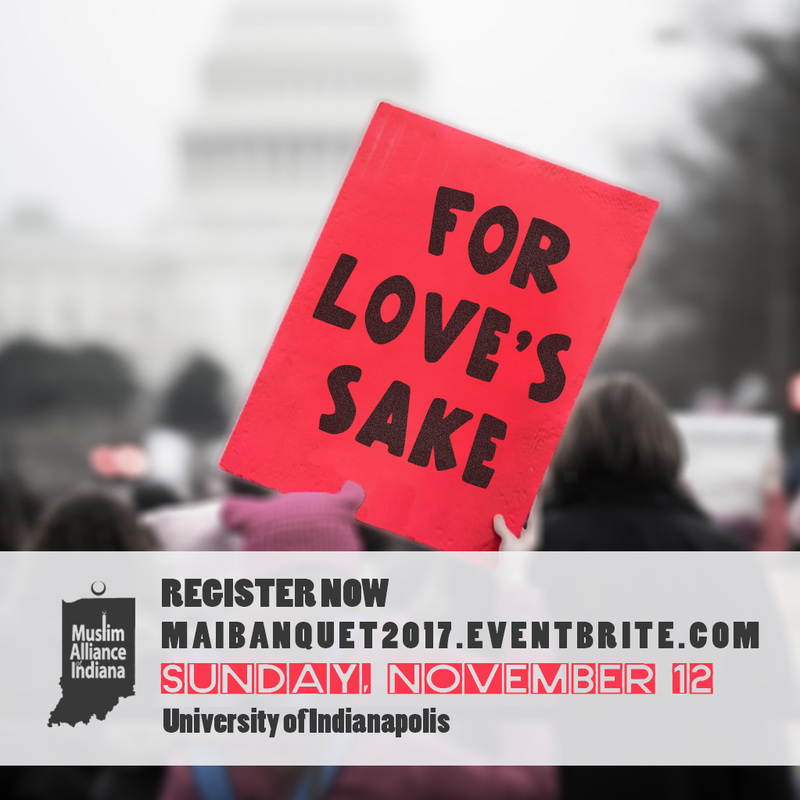 Register for the Annual MAI Convention! What are Muslims all about? We know the current narrative. It’s time to rise to the challenge of defining the American Muslim identity through voice and action – starting at home. The Muslim Alliance of Indiana continues to stand with and empower civically engaged Muslims. Let’s re-write the narrative, one Muslim Hoosier at a time.